Rice cereal has had a rough week. 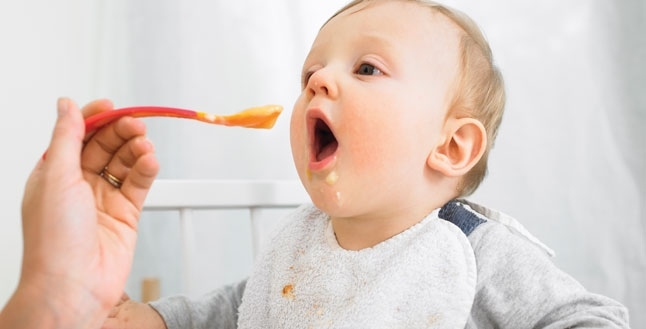 Most pediatricians recommend it for an infant’s introduction to solid food, with many children in the U.S. consuming a steady diet of rice cereal and other rice products. But a new, and widely publicized, study found that babies fed rice-based foods had higher arsenic levels in their urine than those who did not eat rice. The study, “Association of Rice and Rice-Product Consumption With Arsenic Exposure Early in Life,” was published April 25 in the Journal of the American Medical Association Pediatrics. In grabbing media headlines across the nation, it alarmed parents who now want to know if they’ve done their babies irreparable harm. How worried should parents be about arsenic concentrations in rice cereal? Most parents do not need to entirely eliminate rice or rice products from their children’s diet. However, consumption of large amounts of rice (multiple meals per day) along with other foods that contain arsenic, such as some apple juice or some well water, may cumulatively exceed the allowable daily intake of arsenic in children. Presently, parents are recommended to start their solid food training with a grain cereal. Often rice cereal is preferred due to its texture and hypoallergenic nature. One study found that two-thirds of all rice cereals contain arsenic levels below U.S. Food and Drug Administration recommendations, while one-third slightly exceed this amount. Therefore, children who consume one serving of rice cereal each day are not at high risk of arsenic exposure. Intermittent use of various grains, vegetables, or fruits instead of rice cereal is a reasonable substitute as a first stage food. What are the symptoms of arsenic poisoning? How will they know if they’ve harmed their children? Acute signs of arsenic poisoning are usually seen at very high levels of exposure and can include nausea, vomiting, abdominal pain, brain and peripheral nervous system dysfunction, as well as skin, liver and bone marrow damage. At chronic lower levels of arsenic exposure, some symptoms can include generalized fatigue, skin rashes, liver damage, frequent infections and a particular pattern of white lines across their finger nails. Although it is almost impossible for children to ingest enough rice products, and hence arsenic, to experience the acute symptoms of arsenic poisoning, prolonged exposure to low-medium levels of arsenic has been associated with diabetes mellitus type 2 in adults. There are no studies regarding the neurocognitive effect of very low levels of arsenic exposure in U.S. children who regularly consume moderate amounts of rice. In fact, in one of the largest studies in children with moderate, chronic exposure to contaminated water, urinary arsenic excretion levels did not correlate with neurocognitive function measured at 6 years of age. Based on current research, it is quite unlikely that parents will notice any symptoms due to arsenic from moderate use of rice products in their children. What should parents give babies instead? Surely, they can’t keep giving them rice cereal? For concerned parents, there are a multitude of other types of grain cereals that can be used as a first-food. Vegetables, fruits, legumes, meat and poultry and other animal products can also be used as the first stage food, if tolerated. For parents who prefer rice products for cultural, economic or allergenic reasons, moderation in the use of rice is recommended. What else should parents know about this topic? Preliminary research indicates that during pregnancy, unborn babies are susceptible to arsenic exposure which may adversely affect the neurocognitive function of these children. Interestingly, the amount of arsenic excretion in the breast milk of exposed mothers was demonstrated to be quite low, proving breast milk to be a safe source of nutrition for infants and children of mothers with low levels of exposure. Also, people should be aware that arsenic can be found in other common sources too. People who live in homes that use private sources of water, such as well or spring water, are at high risk of arsenic exposure. Old, treated wood in decks, jungle gyms or antique baby cribs may also contain arsenic compounds. Try to avoid direct contact with these types of structures and be sure to wash hands after exposure. For more health tips, visit Mattel Children’s Hospital UCLA at www.uclahealth.org/mattel.